Is your new years resolution to straighten up your space? Guardian Self Storage and Business Center offer Chamblee GA storage space and office rentals! Our space makes it simple to tackle your business organization and home tasks all at the same time. Gain some knowledge from these three useful podcasts! Find a series to help you decorate, clean out the clutter, and get your whole family in order. When you are ready to store your belongings, talk with the professionals in our office or rent online! How to minimize your life when you are busy? The host of these short podcast episodes walks you through how to minimize and create a mindful living situation. Organize your priorities! Start with your schedule in this podcast and see the benefits an organized life can have on other aspects of your life. Every year you try to clean your space, but by mid-year your space is back to the way it was. This podcast will guide you through each room and make the mid-year clutter stay away. Podcasts can make you laugh, think about life events, and even help you straighten up your space. After the donate pile is off to the donation center and the discard pile is out of the house, move your keepsakes to a storage unit at Guardian Self Storage. 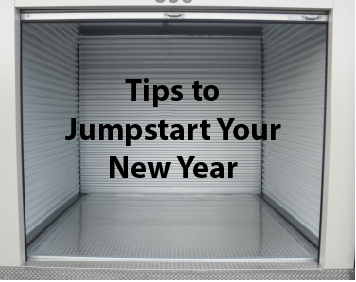 These useful online series and our Chamblee GA storage units are the ideal match to start a new year with success. Rent online or give us a call today!